The show is 28 minutes long, and features an interview with Cory Weir and Mike Mutimer from Local 222. The show highlights the issues that have led to growing discontentment amongst rank-and-file Unifor members. Cory and Mike also talk about the basic goals of Solinet – to fight for changes to Unifor so that there is rank-and-file democracy, working class politics and bargaining for solidarity. Jerry Dias and Bob Kinnear at a press conference, February 7, 2017. Jerry Dias’ attempt to raid the TTC workers (ATU Local 113) earlier this year was a spectacular flop. What has it meant for our union, and the broader Canadian labour movement? Dias argued that he was acting on behalf of “union democracy” and “workers right to choose” their union. Dias also appealed to Canadian nationalism. The counter argument is that the attempted raid was, in fact, cooked up behind the backs of the members of Local 113, and was all about an attempt to raid a section of another union that is a member in good standing of the Canadian Labour Congress, and thus damages the unity of the union movement. The spectacular failure of the raid has greatly damaged the reputation of Unifor, and made it harder to organize non-union workplaces. On February 7, 2017, Jerry Dias held a press conference along with Bob Kinnear, President of ATU Local 113 which represents the workers at the Toronto Transit Commission. He portrayed himself as a defender of union democracy, and attacked the International leadership of the ATU for putting Local 113 in trusteeship and removing Kinnear as president. He repeated Kinnear’s claim that Local 113 members were sending $6,000 a day in dues to the US and “getting nothing in return”. Dias vowed to provide financial and legal support to Kinnear. What Dias did not reveal, was that he had cooked up the whole affair with Kinnear before the trusteeship was imposed. February 1 – Kinnear sends a letter to CLC President Hassan Yussuff invoking Article 4 of the CLC Constitution – a process whereby union members can change unions if their problems cannot be resolved. February 2 – Yussuff contacts ATU Canada President Paul Thorp to inform him of Kinnear’s letter. February 2 – tellingly, an email from a law firm is sent to ATU Local 113 with direction that it be given to Kinnear. The letter provides advice on how to deal with a trusteeship. The email is cc’d to Scott Doherty, assistant to Dias, and to Anthony Dale, a lawyer employed by Unifor. February 3 – Hassan Yussuff notifies the ATU that he is suspending the ATU’s protection from raiding under Article 4. There seem to be no grounds for doing so under the CLC Constitution, and Yussuff is in a blatant conflict of interest – he is a longtime Unifor staffer. 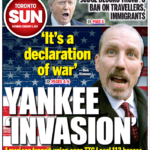 February 4 – the media campaign in support of Kinnear begins with the Toronto Sun front page blaring “Yankee Invasion”. Eventually the attempted raid fell apart – mainly because of the evident lack of support from rank and file ATU members and leaders. Out of 17 executive board members, 13 rejected Kinnear’s efforts and sided with the ATU. So did more than 95% of elected stewards. Finally, Kinnear threw in the towel and retired. Questions remain, however, including the claims raised by Dias. It is hard to take seriously Dias’ claim that he was acting in support of union member’s right to choose and democracy. Dias has shown little respect for democracy in his own organization – check out the ratification votes in the 2016 auto contracts, which were the lowest in the union’s history, without the slightest self-reflection about why. If Jerry Dias really believes that we should “let the members choose”, why has Unifor spent the last 6 months or more trying to prevent inshore fishers in Newfoundland from having a vote on leaving Unifor? If Dias is the promoter of democracy, why were 5 locals in BC kicked out of Unifor without even a hearing (which is supposed to be guaranteed by the Unifor Constitution)? As far as the ATU Local 113 issue – there is zero evidence that Jerry Dias cared about the rank and file TTC workers. He backed Kinnear, thinking he would be able to scoop up over 10,000 members and their dues. Kinnear and Dias forgot to ask those workers what they wanted. Which brings us to the question of dues. You should always be suspicious of an anti-union or right-wing agenda when someone starts yelling about dues or taxes. Jerry is on thin ice when he invites ATU members to object to the portion of their dues that go to their International office. Unifor dues are significantly higher than ATU dues – more than double, in fact. If ATU Local 113 were to join Unifor, approximately $13,650 a day in dues would go to the Unifor National Office (apart from the portion that would stay with the Local union). 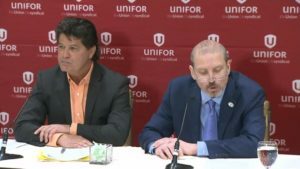 In other words, Unifor would stand to gain close to $5 million per year. One of the problems with raiding is that it causes division in the labour movement, while doing nothing to help organize the 70% of workers who are not currently union members. Unfortunately, this sort of crass attempt to grab members of another union has too long a history in Unifor’s predecessor union, the CAW. A horrible example was in 2007, when Buzz Hargrove pledged $5 million of CAW money to support Tony Dionisio and his phantom “Canadian Construction Workers Union” in a futile attempt to raid LIUNA Local 183. Dionisio had been a LIUNA leader who was removed because, according to LIUNA, “three years of independent investigations and hearings, including numerous decisions of Ontario courts and the Labour Relations Board proved beyond any doubt, that Dionisio and his ruling circle in Local 183 were guilty of numerous unethical practices that severely violated Canadian trade union values. They exploited undocumented workers. Benefits and pension credits were stolen. Union members and staff were covertly spied on. Collective agreements were forged. Millions of dollars were misallocated.” Dionisio ended up with a unit of 8 workers, and a string of decisions that his operation was not a legitimate union. Was this a worthwhile use of millions of dollars of dues from CAW members? The founding of Unifor in 2013 seemed an opportunity for a new direction – $10 million a year was pledged for organizing unorganized workers. The past four years have been disappointing – despite a staff of 16 national reps, a director and 7 full-time community-based organizers, the Unifor organizing department has underperformed. Only a few thousand new workers have been brought into the union. The total number organized in 2016 was 3,030. Perhaps that is why the 11,000 members of ATU Local 113 were such an attractive target. The attempted raid of Toronto transit workers has been nothing less than a train wreck. It has damaged the reputation of Unifor, which will only make it harder for us to appeal to the unorganized workers that we need to attract. It has divided the labour movement in Canada, and worsened relations with a number of unions. And it has not promoted democracy in the union movement, especially within Unifor. Which Unifor members approved this awful strategy? How much of our money was spent on Bob Kinnear’s legal bills? On February 23 Kinnear published a full-page ad in the Toronto Star (at a cost of $50,000 at least) and two other publications – who paid for that, and who authorized it? The Unifor membership never authorized this destructive waste of our funds. We do need more democracy – we need it in Unifor. We need the right for our members to review such wrong-headed actions as the attempted raid on ATU Local 113, and the right to reject them. Today’s labour movement faces many challenges. We take on multinational corporations who have consolidated their power and global influence during an era of ruthless neoliberal expansion. The threat of capital flight- corporations shifting production to countries with lower costs- has strong-armed many unions into swallowing bitter concessions in hopes of maintaining production levels and staving off job loss. Hard fought gains of generations past are routinely sacrificed on the altar of pragmatism. We celebrate these contracts as victories, but we ought to call them what they really are; the wholesale sellout of an entire generation of workers by people who are unwilling to stand and fight for basic union principles. If we need proof that our strategy is failing, we need look no farther than the decline in living standards of our members relative to the generation that preceded them. Global corporations have escalated their tactics and we have failed to respond accordingly. This concessionary bargaining has fractured our union and left new and old workers alike feeling disenfranchised from the only force capable of winning justice for workers- the collective strength of our union. The first place we must look if we are interested in changing the future for workers is our past. We have a proud tradition of militant resistance in the unions that came to make up Unifor. 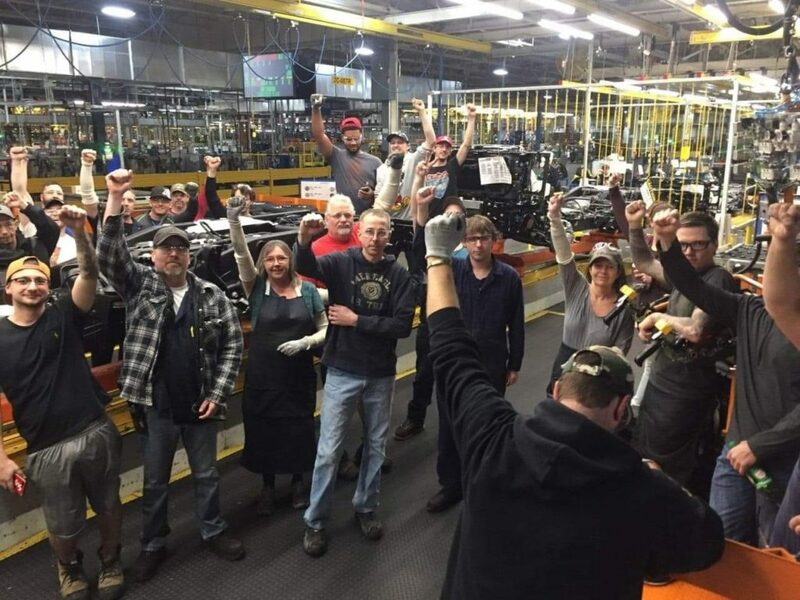 From the historic UAW Ford strike that brought us the Rand Formula in Canada to the push back from CEP surrounding a decimated paper and pulp industry, we know that things can only change when we put ourselves on the line and boldly defy corporate and governmental interests. Nothing is handed to workers on a silver platter- everything we have was fought for tooth and nail by multiple generations who believed in true solidarity and took brave chances for the betterment of our future. No good favour with the powers that be has ever gained true justice for workers and the history of not only the Canadian labour movement, but also the global labour movement can attest to this fact. The workers who bled and died in the streets to advance the working class are forsaken when we give anything less than our all in the stand for our union principles. When the Toronto Typographical Union struck in 1872, unions were illegal and their leaders were imprisoned on conspiracy charges. It took 10,000 people in the streets to free them and eventually forced the hand of the government to create the Trade Union Act which laid the foundation of today’s union movement. I ask you this: do our current national leaders have the same courage and resolve? The answer is a resounding “No”, and I welcome any of them to argue otherwise in public debate. The record of concessions to employers and traitorous donations from our president Jerry Dias to anti-immigrant and anti-worker Conservative politician Kellie Leitch speak for themselves. The lack of public criticism for this from other leaders on the National Executive Board is an absolute affront to everything our union should stand for and speaks to the lack of true democracy in the upper echelons of our union. By not calling out this cut-and-dry sellout of our membership, they have effectively become complicit in it. In an effort to maintain labour peace, they have forgotten that an economic war is fought against workers every contract, and that without sticking steadfast to our union principles we are fighting a losing battle against the greed of executives and shareholders. Make no mistake- our labour is what turns the world of industry and only through global resistance to the status quo can we ever dream of winning real justice for workers. Only by realizing our potential strength and flexing it can we ever get ahead. Right now, we’re not even holding our ground. With an in-depth class analysis and will to fight uncompromisingly for workers, Solinet was created to advance these discussions and reignite real workers power. There is growing support across the union for these ideas. We have three main objectives that serve as our guiding principles. I will briefly discuss the importance of each one and welcome any and all constructive criticisms. This is a space for no-holds-barred discussion about our collective future. No single one of us have all of the answers but we owe it to ourselves and future generations to apply a critical lens to our current situation as workers. Real debate, membership engagement, a culture of activism and militancy, not self-advancement and self-enrichment. Without real meaningful debate we are left impotent in front of the challenges we face. In our union much of what we actually experience is best described as controlled democracy. Critical perspectives are punished through barriers such as exclusion and alienation. Workers are stripped of appointments by leadership because they challenge the ideas of our accepted doctrine- a failing doctrine- and through this system that awards obedience over substance, many of our greatest minds are squandered in obscurity. Until rank and file workers rise up to challenge this corrupt practice, there can be no meaningful victory for workers; only polished excuses for why we couldn’t do better for our members. Unifor policies and political engagement that advance the interests of our members as part of the working class. No support for parties that act for the corporate class. When we discuss the dire need for true working class politics, we need look no farther than the embarrassing relationship our union has with the corrupt, anti-worker, federal Liberal government. When we invited Justin Trudeau to our National Convention we gave the Liberals an undeserved platform to obscure their anti-union policy and pro-corporate propaganda in front of many of our most influential members. Many of our leaders posed for “selfies” with a corporate shill of a Prime Minister who refuses to enact anti-scab legislation, who promotes free trade deals, who champions increased military spending and pipelines. The strategy of course, is to stay on the good side of the government in power in order to get some favours. But when we look at the history of the labour movement it becomes exceedingly clear that we get nothing by begging for crumbs, when we should be demanding bread. Really, we should be preparing to take over the bakery. Everything we have has come about when we have found ways to unleash the strength of the working class. Given that the blood, sweat, and tears of our work controls all of industry, the simple fact remains: we don’t need pro-corporate politicians. Anything less than absolute rejection of these anti-worker parties is a slap in the face of every life lost in the fight for real justice for workers. Bargaining strategies that build unity among our members by reducing inequalities in wages, benefits and pensions, not increasing them. When we look at the sacrifices that have been made on the backs of new workers, it becomes increasingly obvious that we are not bargaining for solidarity; we are bargaining for survival. Our strategy gets us from A to B while corporations are bargaining from A to Z. Until we draw a firm line in the sand and refuse to abandon core union principles such as equal pay for equal work, we simply cannot expect to have a strong union. We must reject the use of new workers as cannon fodder in tough negotiations and remember our proud history of struggle. Until that day is brought about by rank and file workers and genuine leadership, our movement will stumble and fail. It is for these reasons that Solinet exists, and it is from the many new perspectives that it will continue to grow. We reject self-advancement and self-enrichment. We stand for genuine working class power and hope that you join us as equals in the fight for working class justice. Until that day comes, we are here to stay with an unapologetic analysis of our union’s direction. 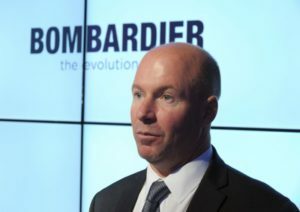 In April, Bombardier senior executives took greed and arrogance to new heights, when they announced they were giving themselves a 50% pay increase. People were outraged, especially in Quebec, where a survey showed 93% agreed the increases should be cancelled. It is not hard to understand the anger. In 2016 the Quebec Liberal government had handed Bombardier about $1.3 billion – no strings attached. Then, this year, Justin Trudeau handed over federal loans totalling $372 million. Bombardier took all this public money and then announced that they would be eliminating 14,500 workers worldwide. The five top executives were slated to rake in $43 million Canadian for 2016, up from a paltry $29 million in 2015. Leading the way is CEO Alain Bellemare with a salary of $9.5 million, up over $3 million. 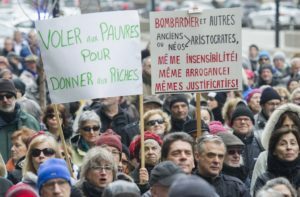 Quebec Solidaire, a socialist party, collected thousands of signatures on a petition calling on the provincial government to renegotiate its deal with Bombardier. The Liberals rejected this out of hand, as well as defeating a motion by the Parti Quebecois asking the Bombardier executives to forego the pay raise. The federal Liberals also defended Bombardier. Justin Trudeau said the federal money was needed to ensure “good long-term jobs” – he must mean good jobs for his friends the execs. Unifor represents many Bombardier workers – but our leaders were not in the forefront of the protesters. Our leadership was doubly compromised – they had supported Bombardier’s demands for public money, and they desperately want to avoid embarrassing the Trudeau government that they have been in bed with. Unifor should go beyond attacking the greed of the Bombardier executives, and raise the demand for nationalization. Public ownership is the best way to ensure that public investment ensures good jobs and positive social objectives. 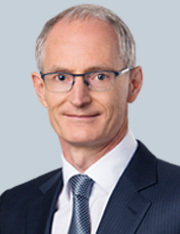 Jochen Tilk, CEO Potash Corp.
Tilk took a 34% pay increase to $5.2 million last year, then shut down a New Brunswick mine, axing 400 jobs, and laying off 140 workers from another mine in Saskatchewan.